China's first suspension railway line, powered by lithium-battery, finished its test run in Chengdu, capital of southwest China's Sichuan Province, on September 30. The train, which has a speed of 60 km per hour, successfully ran along the 300-meter test section of the railway line, after being suspended from the line. The load capacity will be 120 passengers per train coach, said Zhai Wanming, chief designer of the project, from Southwest Jiaotong University. 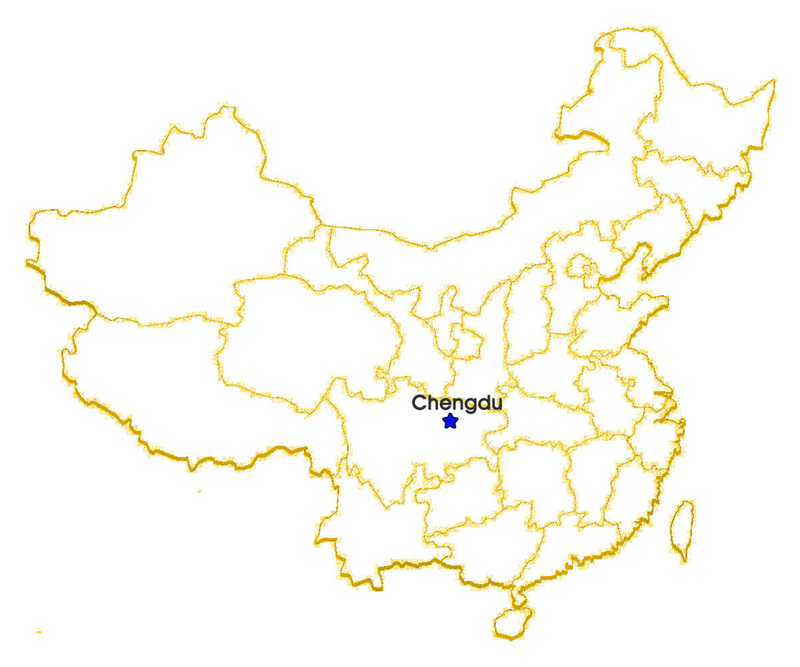 Based on the current test line, Zhai estimates the cost of the suspension railway is one-fifth to one-eighth of the cost of underground rail per kilometer. He also said that lithium batteries were environmentally friendly. ​The test section of the railway line will be expanded to 1.2 kilometers, for further tests on turning, climbing, and operations at train and charging stations, Zhai said. 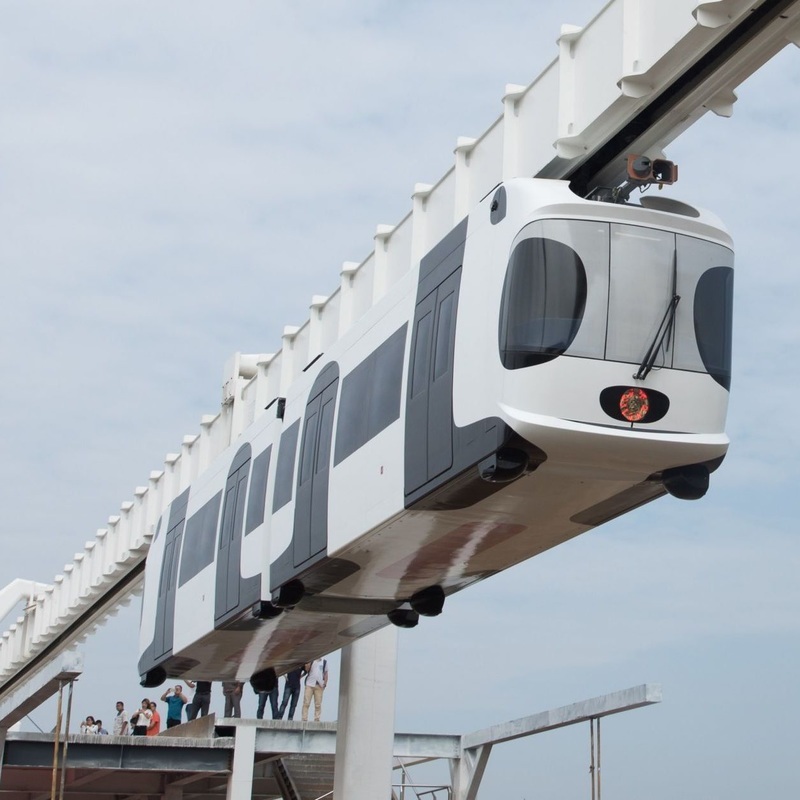 A suspension railway is an elevated monorail where the train is suspended from a fixed track. 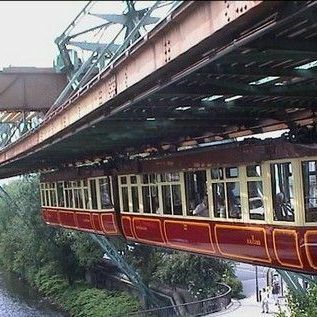 One of the earliest electrical elevated railway systems, built in the German city of Wuppertal, opened in 1901 and is still in operation today.